Today, Compton born and bred rapper Buddy is back to share a new song “Trippin” featuring Khalid. The new track is the latest offering from Buddy’s upcoming debut album Harlan & Alondra, following the previously-released singles “Hey Up There” ft. Ty Dolla $ign, “Trouble on Central,” and “Black” ft. A$AP Ferg. “Trippin” sees Buddy delivering powerful, spaced-out bars about drug-fueled trips and maintaining positive energy, which juxtaposes itself against Khalid’s somber tone and lyrics of drug-addled lows. The track showcases Buddy’s sleight of hand as a rapper, as he switches up his flows effortlessly throughout. Harlan & Alondra is due out July 20th via Cool Lil Company / RCA Records and is available for pre-order now. The album places listeners in shotgun cruising through LA alongside Buddy while he discovers himself within the rugged fabric of the city. 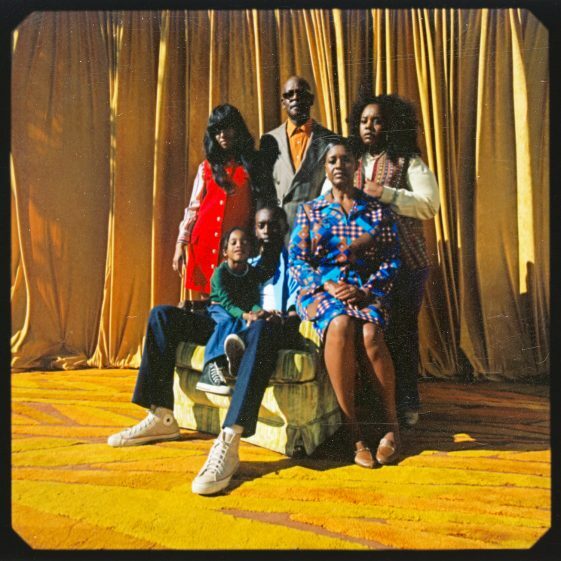 Scroll down to see the cover art that centers in on the album’s theme of family by showcasing Buddy’s own family in a photo taken in front of his childhood home. In addition to the new song, Buddy is launching a run of tour dates with A$AP Ferg in Portland, Oregon on July 7th, spanning 9 dates across the US culminating in Boston, Massachusetts on July 27th. Scroll down to see the full routing. Buddy also recently released a new merch collaboration with street wear brand Cactus Plant Flea Market and his own Cool Lil Company which can be found at www.coollilcompany.com.